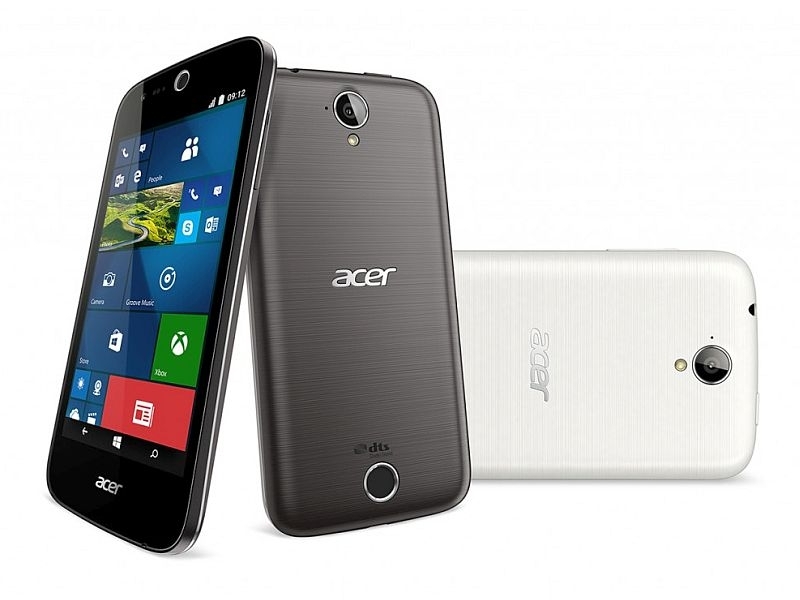 Acer introduced its Liquid M330 smartphone back in September last year during the IFA 2015 conference. The Windows 10 Mobile-based smartphone was launched with seven different handsets at the conference. The company after almost half a year has finally launched the Liquid M330 at $99.99 (roughly Rs. 6,650). It will be available from Microsoft store in the US this month. The Acer Liquid M330 features a 4.5-inch FWVGA (480×854 pixels) display and is powered by a 1.1GHz quad-core Qualcomm Snapdragon 210 (MSM8909) processor. Measuring 136×66.5×9.6mm, the smartphone comes with 1GB of RAM and 8GB of inbuilt storage. The handset sports 5-megapixel front and rear cameras. For camera enthusiasts, Acer’s Liquid M330 features Gourmet, Favourite Shot, and Bright Magic Selfie camera modes. Connectivity options on the Liquid M330 include 4G, Wi-Fi 802.11 b/g/n, and Bluetooth 4.0. It is powered by a 2000mAh battery that as per Microsoft is rated to deliver up to 15 hours of talk time and up to 230 hours of standby time. Since the Liquid M330 is a Windows 10 Mobile-based smartphone, it also sports all the features that come with the OS such as Microsoft Edge, Outlook, OneDrive, Microsoft Office, Cortana, and Glance Screen, which lets users see notifications without fully unlocking the smartphone. Microsoft is not only focusing on bringing Windows 10 Mobile to a wider number of handsets, but is also working hard to bring its apps on Android-based smartphones as well. The company in February said that it has 74 Android hardware partners in 25 countries, with Acer now joining that list. These OEMs either pre-install or will pre-install Microsoft apps on their Android smartphones and tablets. Acer intends to do so from the second half of 2016.